Artwork Panel: 27.2cm x 40.4cm ≈ 10¾" x 16"
Silk/Brocade: 36.4cm x 103cm ≈ 14¼" x 40½"
Width at Wooden Knobs: 45.4cm ≈ 17¾"
Reason for discount: Tiny/minor red spot on the lower silk panel. Marked down to less than half price. This is a print, not hand-painted. It was printed using a fine art giclee printer on handmade kozo paper. Mounted to a handmade wall scroll. 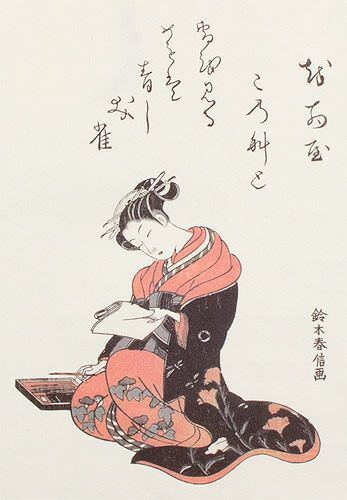 The original artwork came from the image of an old Japanese woodblock print.